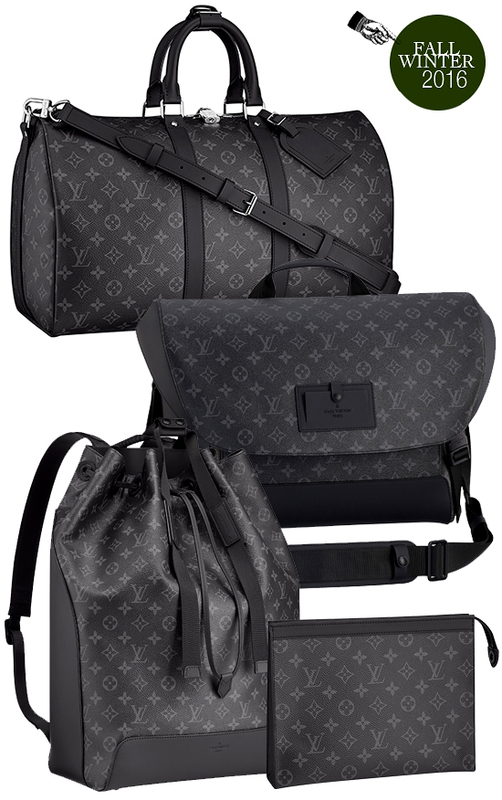 Before the highly anticipated Louis Vuitton Fall Winter 2016 Monogram Eclipse collection hits the stores this July 15... time to take a peek at what's on offer. First spotted prominently on the Fall/Winter 2016 show in Paris, this new line is another interpretation of the maison’s popular and evergreen signature monogram design. 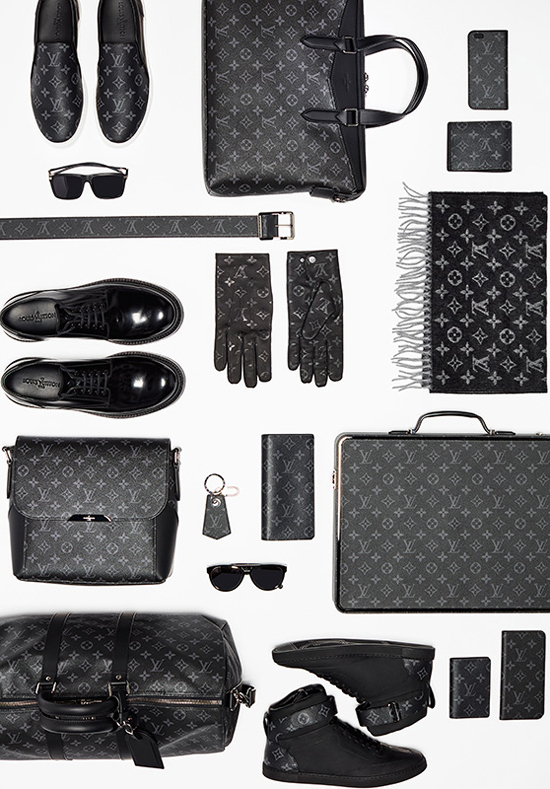 Drawing inspiration from Louis Vuitton’s iconic Malle Courrier travel trunk, the Monogram Eclipse collection updated the pattern in grey and black, creating a ultra modern and yet tougher, quasi-military appeal. The Monogram Eclipse bags, shoes and accessories are up-to-the-minute sharp, with metallic accents and hardware in dark grey to match. 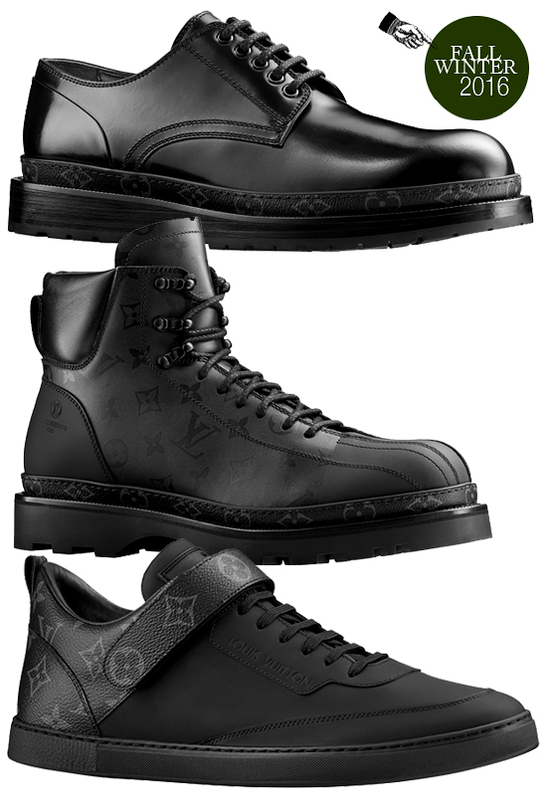 I love the keepall and the skates sneakers... those are screaming my name:-P What about you? Can’t wait to check out the collection when they start hitting the stores. But I reckon they will not stay long there if you are thinking of getting some of them! Below: An extensive collection that will appeal to many... but that keepall and skates sneakers are screaming my name! More pics of Louis Vuitton Fall Winter 2016 Monogram Eclipse collection on my facebook fanpage. 'LIKE' my fanpage if you enjoy reading this post.